Many times when a guest visits a hotel, restaurant, bank, or gas station; they rarely meet the manager or owner of the establishment. It is up to the front-line employee to make the customer&apos;s visit enjoyable. The R.O.S.E. Awards were created to recognize these "directors of first impression" who consistently work hard to make our lives easier. Guests and managers are able to nominate an employee who consistently "goes the extra mile." Nominations should include a detailed description of extraordinary customer service. 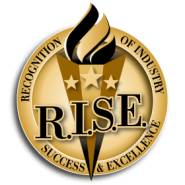 The South Shore Convention and Visitors Authority will honor front line ambassadors with the Recognition of Industry Success and Excellence Award (R.I.S.E.). These nominees may be managerial employees or past R.O.S.E. winners, who have risen above expectations when directly interacting with customers on a regular basis. The R.O.S.E. Selection Committee will select 20-40 finalists prior to selecting a dozen R.O.S.E. winners. If the nomination form does not meet the requirements listed below, the nominee will not be considered one of the finalists. Please be aware, the Selection Committee will not contact all nominees; only finalists will know they have been nominated. Please provide, in more than 40 words but less than 200, a description of the individual deserving of a R.O.S.E. Award. **Helpful Hint** Be as specific as possible. Nominees, but not winners, from previous year&apos;s R.O.S.E. Awards are eligible. Nominees may be a manager only if the nomination refers to their customer service while working in a front-line capacity.